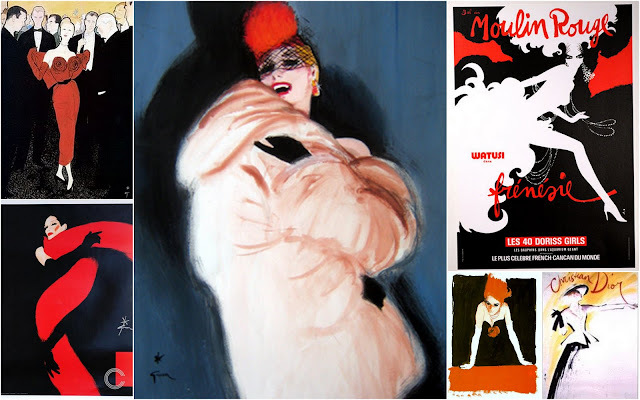 Rene Gruau was a legendary artist who elevated the craft of fashion illustration into fine art. His paintings graced posters, magazines like Vogue and Harper's Bazaar and some of the most iconic fashion advertising of the century. My illustration professors at Parsons worshipped him along with many of my fellow students. The illustrator's work was the main muse behind John Galliano's latest Haute Couture collection for Christian Dior. The exaggerated silhouettes with dramatic lipstick and hair sashayed down the runway to the awe of clients and colleagues alike. Voluminous ballgowns swirled in organza. Wispy feathers and intricate embroidery embellished heads and dresses. The retro or classic nipped waist that is Dior's signature look made a welcome comeback. 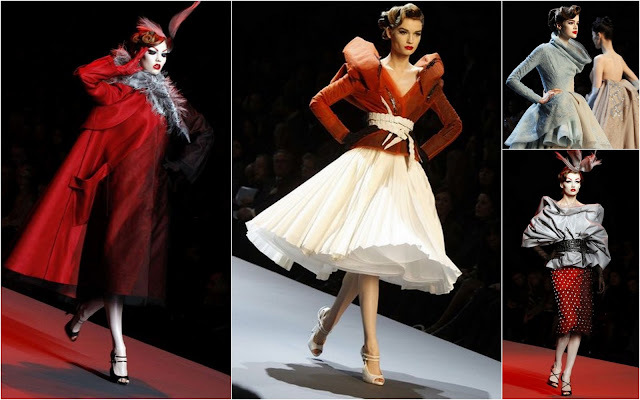 The show was presented at the Musee Bourdelle, appropriate for the sculptures of clothing Galliano intended to display. Some of the classic "Miss Dior " campaigns of earlier years were painted by Gruau. For any of you who think that a timeless artist is too high brow for every day inspiration... One of my husband's favorite comic books, Tim Sale's Catwoman: When in Rome also credits it's creative direction to Gruau.